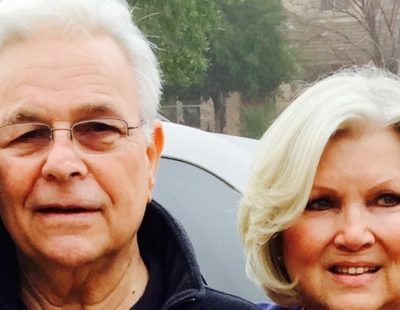 Tom And Dawn Christon have five children and nine grandchildren. They have three dogs and an organic garden. We treat every property as if our Grandchildren live there! It just doesn’t get any better than this! What a fabulous feeling for a child to know the comfort of living in a scorpion free home! This little girl was barely three years old when we were called to start treating their house to get rid of general pests and scorpions! 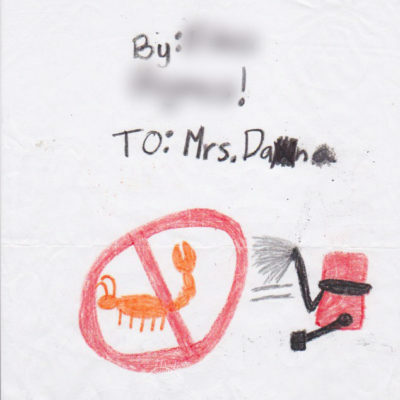 At age 5, she made this picture for me, depicting us getting rid of the scorpions! She didn’t know how to spell my name, but she knew we were responsible for her pest free paradise! What our customers say about us is much more important than what we can say about ourselves!